By 1850, the massive urbanisation and industrialisation which Britain experienced over the previous century had generated unprecedented problems of pol­lution. The mid-century laissez-faire state, with its small central government and fragmented local regulatory bodies, was largely unprepared for these problems, and environmental pro­tection was left in the hands of private litigants - usually wealthy landowners - invoking the common law. However, reform at both local and central level led to new regulatory systems being put in place from the 1870s, which promised to play a larger role in reducing pollution. The Rivers Pollution Prevention Act 1876... was part of this reform. It was a pioneer­ing piece of legislation, the first general statute to deal with river pollution. Yet it has often been seen as a weak measure, which did little to improve river quality. Indeed, some historians have taken the view that it was drafted in such a way as to allow public authorities to hinder the more effective remedies against polluters which were available at common law. How effective the common law could be in controlling pollution has long been debated among historians. According to JF Brenner, common law judges had no interest in using the law of nuisance to restrict industry, but rather sought to remould it - and emasculate it - to permit industry to develop. Brenner's view has been challenged by John McLaren. In his view, judges were far more divided on issues of policy than Brenner acknowledges. 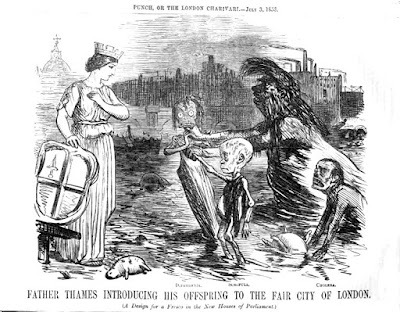 The predominant approach was one which recognised that the common law protected the right to clean water, but which also applied injunctions flexibly, given the practical difficulties of dealing with urban pollution. McLaren acknowledges the relative rarity of common law actions, but he attributes this to social and cultural factors, as well as the technical and financial difficulties faced by those who went to court, rather than to any doctrinal impedi­ments imposed by the judiciary. McLaren's own view that the common law was not par­ticularly effective has in turn been challenged by Ben Pontin, who argues that injunctions obtained by private law litigants could play a crucial role in forcing recalcitrant local authorities to spend money to improve sewage facilities. Leslie Rosenthal also argues that the common law could produce efficient outcomes, by inducing parties to enter into post­litigation negotiations. The response of policymakers, legislators and scientists to the problems of pollution has also attracted much attention from historians. They have tended to view the common law as costly, unpredictable and inefficient. If the common law could achieve victories in some areas, they argue, it was only thanks to unusually persistent litigants with very deep pockets. It could provide no programme for environmental improvements. These historians look instead to the actions of regulatory bodies in taking steps to improve river quality. 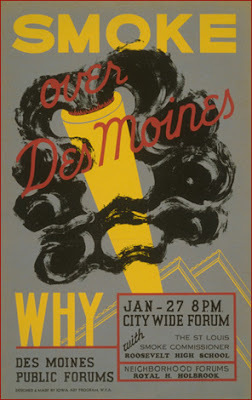 Their studies have demonstrated that pollution problems were complex, raising questions both as to what was scientifically possible, and what was politically desirable, given that filthy rivers were often the price paid for economic development. Progress in improving rivers was often slow for a number of reasons. The regulatory machinery tended to remain frag­mented and weak, and inspectors generally preferred a policy of persuasion to prosecution. In eras of economic fragility, the interests of business were often put ahead of the interests of rivers. Nonetheless, the regulatory framework was far from being a failure. In an era when populations continued to grow, and industrial chemical effluents increased, a great deal needed to be done simply to stand still. 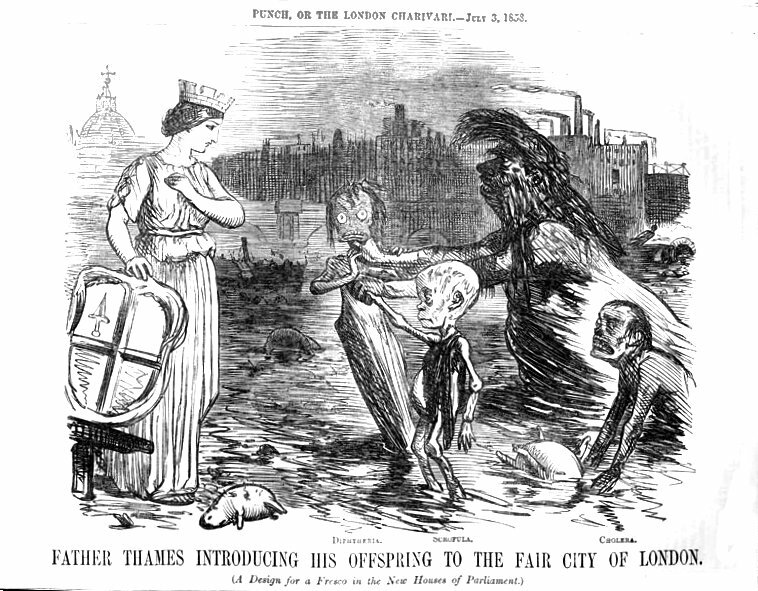 Moreover, if industrial pollution still contrib­uted to the death of many rivers in Britain throughout our period, the dangers posed to public health by sewage pollution, that bane of mid-Victorian Britain, had been signifi­cantly reduced by the First World War. The idea that the old common law remedies would gradually be made redundant, as an efficient regulatory state managing environmental resources for the common good emerged, has come in for increasing criticism in recent years from tort scholars reassessing the relative roles of common law actions of nuisance and regulation in dealing with pollu­tion. It has been pointed out that regulatory bodies may be too closely aligned to particular industries, or may have views of policy that do not necessarily reflect a collective public good. It has been argued that the purposive nature of regulatory regimes, and their preoc­cupation with technical details, leaves little room for dissenting views to be heard. In times when there may be concern about regulatory failures, the option to use the law of tort both to compensate for past damage and to stimulate the development of improved standards seems attractive. At the same time, it has long been recognised that the common law, react­ing to past pollution events, may be a good tool for an injured party to demand that some­thing must be done; but it is ineffective in determining the decision of what can and should be done. The question of the relationship between common law and regulation remains, it seems, as unresolved as ever. In what follows, we will explore the relationship between common law and regulation in the period from 1876-1951, the era of the first Rivers Pollution Prevention Act. We will examine why the Act was passed, how it operated, and in what ways it did (and did not) supplant the common law. The first two Sections will look at the machinery of regulation. The first Section will show that the 1876 Act reflected the contemporary demand for a sys­tem of pollution regulation which would not unduly hamper industrial enterprise. Although many called for a regulatory body which would set standards for river purity, pressure from the industrial lobby led to the abandonment of this proposal, in favour of one which would only require industrialists to use the best practicable means. 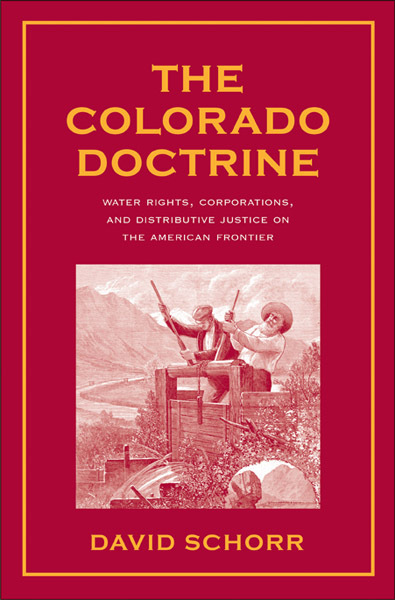 The second Section explores the debates over river pollution policy in the first half of the twentieth century, which increasingly involved the participation of non-governmental interest groups. It shows that while there were still calls at the start of the century for a centralised authority which would set river standards and police polluters, by the 1920s there was an increasing focus on developing technical solutions, whereby local authorities would treat industrial (as well as sewage) effluents in their sewers. As will be seen, the regime created in 1876 and maintained thereafter was not premised on a policy requiring polluters to reach a fixed standard and prosecuting them when they failed. Policymakers rather worked on the assumption that technical solutions would be developed for the problem of pollution, which would be adopted by polluters, who would be threatened with prosecution under the legislation only as a last resort. The following two sections (respectively on sewage and industrial effluents) examine the operation of the regulatory regime. As will be seen, the Act was perhaps not as ineffective as has sometimes been assumed. The number of prosecutions under the legislation may have remained very small, but this was because it was never intended to be used as an instrument reacting to polluting events, in the manner of the common law. The penalties it imposed were only to be used when polluters could not be cajoled or persuaded to take reasonable and real­istic steps to address urgent problems of river pollution. Policymakers were more willing to be flexible in the application of the Act when dealing with industrial pollution than when deal­ing with urban sewage, for reasons of economic policy. How effective it could be depended on the diligence of the authorities enforcing it; and in those places where river boards were cre­ated which could monitor pollution and take action - as in West Yorkshire - it was not inef­fective. Just as the penalties imposed by the statute were a last resort for public authorities to invoke, the common law remained in the background, as an unpredictable but occasionally essential backstop, capable of being invoked by private parties when local authorities failed to act.